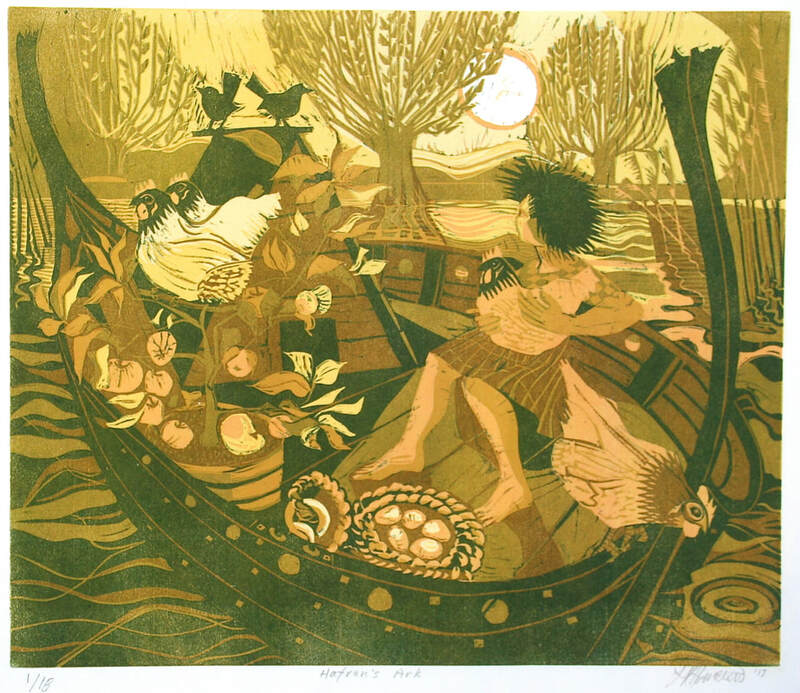 ​I am a painter and printmaker, and I have a particular interest in making reduction linocut prints. I live and work in the Forest of Dean, an area where, over the centuries, working people have created an extraordinary landscape. From the window of my studio I can see our garden and the edge of the beech plantation that skirts one side of our plot. My immediate environment often provides the detail for my work: garden plants, weeds, the bird table, interior spaces, the common, grazing sheep and the oaks beyond. I also find myself drawn to the the Rivers Wye and Severn that border the forest. My work explores the underlying strangeness of ordinary life and domestic detail and often involves images of women. I’m interested too in the slow legends and fleeting narratives that link us to one another and to the past. I like the process and pace of reduction relief printing, focussing first on the composition of a piece, then setting out into the unknown, and not looking back, as each stage of cutting, inking and printing unrolls.